Some months ago I wrote about improving render setting time: how to reduce rendering time. During the rendering, global illumination informations are stored and reused for the same render. We can easily calculate only the first part of the global illumination: irradiance maps. Save datas and reload them using “from file” option. Do the same saving the light cache datas: the procedure is identical. Then uncheck “do not render final image” and run the final rendering. For images to screen size (1200 x 750 for example) is fine to use HIGH preset for irradiance map. But when you render images for posters of 6000 x 4000 this approach is far more than necessary. It may be good to set min and max rate values manually. Without the check on “store with…” shadows are sharper and more true. But I advise you not to apply it to all the lights! Check locally about what lights you need this sharpness of shadows, while the other uses “store with…” option. This save a lot of time! For the lights in the center of a large room – for example – you can safely use “store”. Especially if you’re applying to a rock, you risk to get a very dotted result. Actually we should not improve the displacement setting, is likely to need the support of NASA! A first step is simply to improve the displacement map. Do a local test to verify that any approximation does not affect the quality of the final result. Many times, you can accept a small loss of quality when this is a great saving of time! It happens more often than you think. Use region render to run local tests. CROP Render is more comfortable for large images. When everything is perfect but you are in hurry, use a render farm! Is the best solution. How it works? How it costs? An average price for a render farm is 10cents per hour. It means that 1 machine (1Ghz processor) working for 1 hour, costs 10 cents. The renderfarms usually have workstations with 8 cores (more than 20Ghz in total) so if 1 workstation works for you for 1 hour it will cost aroud 2.2 dollars. It’s great isn’t it? It’s not expensive but you have to take care about your setting, everything! You risk to let working 100 workstation for 1 hour… total = 220 dollars and the image is not complete yet!!! This example is rare to happens.. but you can’t use super high settings without brain, because the optimization is a fundamental step for your work, everything! both on your PC than on a Render Farm. Some nice tips there, Ciro! i’m Do Tuan Anh .I’m from Vietnamess. 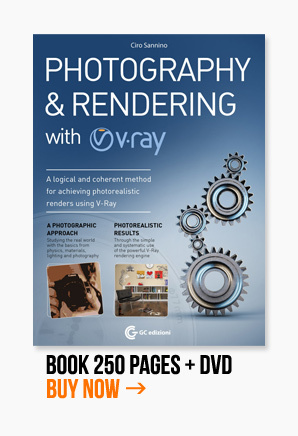 I wan’t to learn 3dsmax (render vray & materials).i find wed’ you = google. you cant’ help me??? please.thanks!! please to get in touch me to mail: tuananh_arch1985@yahoo.com. thanks you! Thank you very very very much. You are a great person. Hey this was great information to reduce rendering time. © 2010 Cg Blog is a trading name of nothing - All rights reserved.